2019 Heartland RV Road Warrior 427 5th Wheel Toy Hauler with generator! 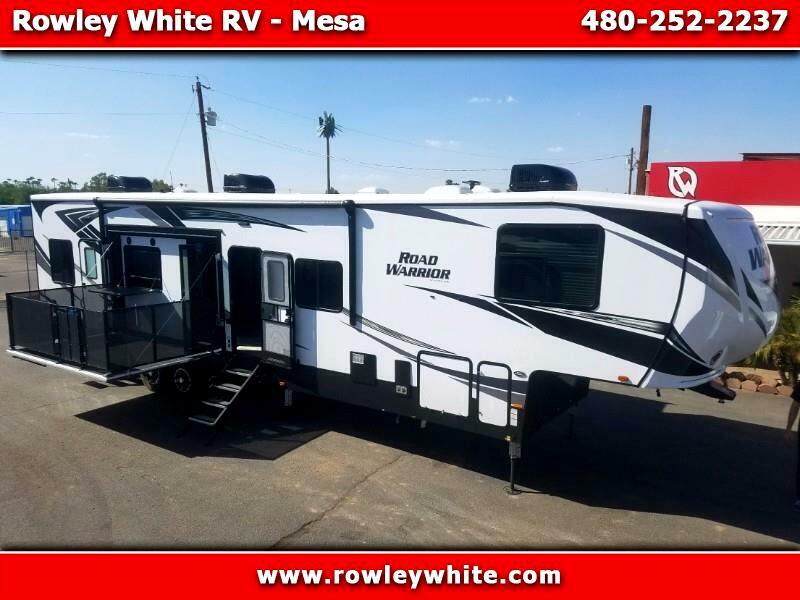 2018 Heartland RV Road Warrior 427 Fifth Wheel Toy Hauler with 2 slide outs! The length of the trailer is about 44 feet; there is 12 feet of cargo in the garage with 80 inches below the rear bunk.